On the run from those with villainous intentions, Bucky Barnes emerges as a central concern to the Avengers in Civil War. 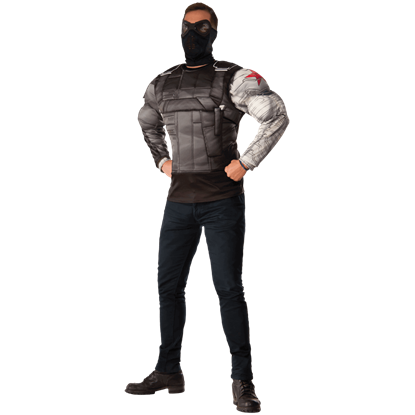 Get the look of this troubled soldier when you wear the Adult Civil War Deluxe Winter Soldier Costume Set. 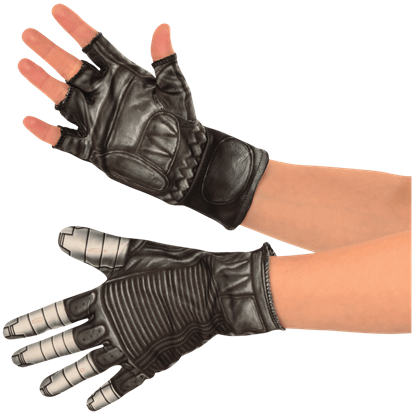 The Adult Civil War Winter Soldier Gloves are highly detailed right down to the fingertips, with one of these officially licensed costume gloves displaying printed metallic details resembling the fingers of Buckys artificial arm. Did you love the second installment of the Marvel Captain America movie universe? 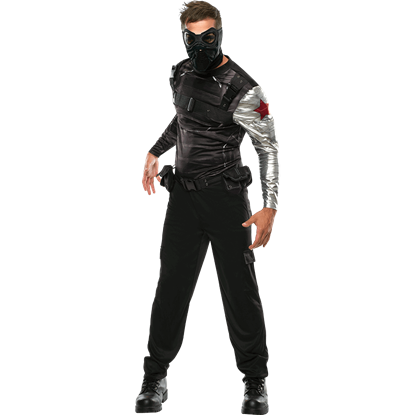 If so, then you can dress as the mysterious enemy with a metal arm when you choose the Adult Winter Soldier Costume as your Halloween outfit. 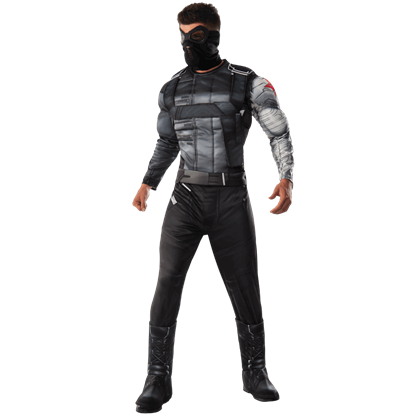 For fans of the troubled Winter Soldier looking for an easy way to dress as their favorite Marvel character, the Adult Winter Soldier Costume Top and Mask Set is the ideal solution. 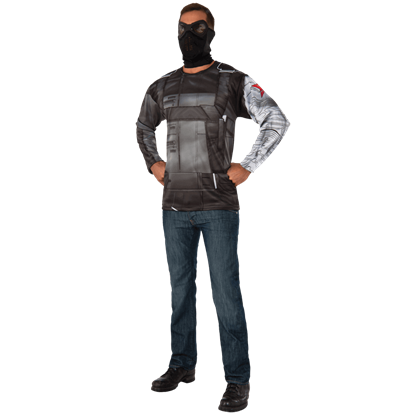 This set includes a long sleeve shirt and a mask. Following his time as a brainwashed assassin, Bucky Barnes starts reclaiming memories of his previous life just in time to become embroiled in a new conflict. 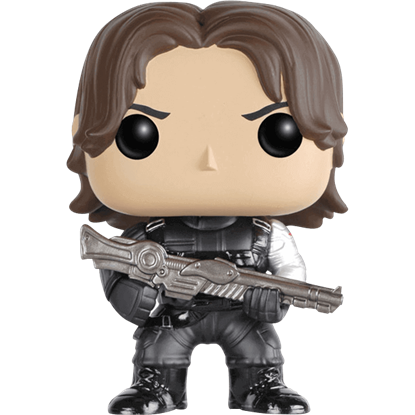 The Civil War Winter Soldier POP Figure displays Bucky with a large gun. For young fans of the Winter Soldier looking to dress up as Steve Rogers troubled friend, the Kids Civil War Winter Soldier Gloves are an essential accessory, with printed details inspired by his Captain America Civil War appearance. Captain Americas oldest friend, Bucky Barnes is now known as the enigmatic Winter Soldier. 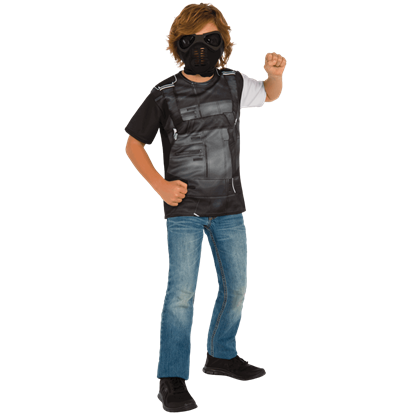 Now your child can dress in the gritty style of this conflicted super soldier with the Kids Marvel Civil War Deluxe Winter Soldier Costume. 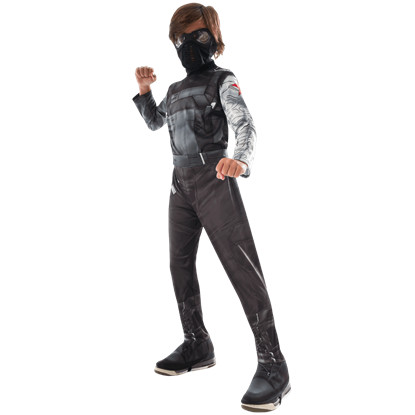 With the Kids Marvel Civil War Winter Soldier Costume, young fans of Captain Americas troubled friend Bucky Barnes can now dress up in his super soldier outfit, as seen in the Marvel Cinematic Universe film Captain America Civil War. 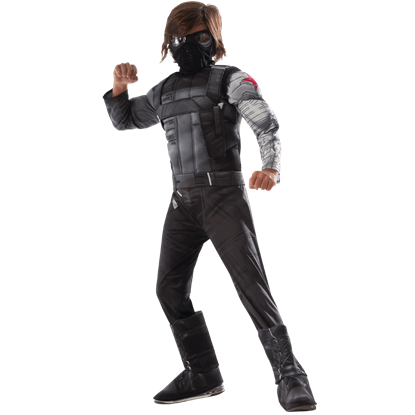 For fans of Captain America The Winter Soldier, the Kids Winter Soldier Costume makes a fantastic way to relive the experience! 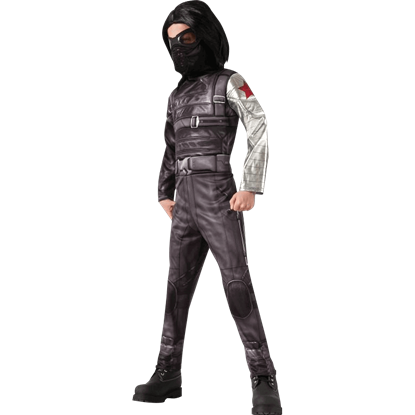 This costume lets your child dress as Bucky Barnes in his Winter Soldier ensemble. Stirring up trouble for the Avengers whenever he arrives at the scene, the Winter Soldier, aka Bucky Barnes, appears in Captain America Civil War and provides the inspiration for the Kids Winter Soldier Costume Top and Mask Set. Young fans of Captain America The Winter Soldier will be delighted to dress as the mysterious soldier from the film! 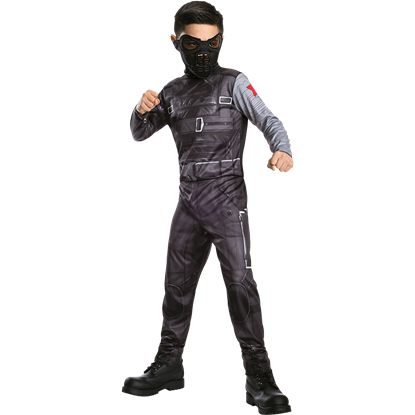 The Kids Winter Soldier Jumpsuit Costume lets your child pretend to be the best friend-turned-enemy of Steve Rogers.